Pictured with Soeren Schroeder (FNT VP UK, Ireland and Nordics) and Simon Allen (FNT Bus Dev UK) (far right and left) are Neil Halliday (JP Morgan) and Alfonso Arias (IBM) who helped celebrate FNT’s success. Data centres are at the heart of modern digitized organisations and have become an integral part in the business value chain. A wide range of disciplines and stakeholders are involved and have to be synchronized and orchestrated properly. To effectively address the requirements of modern organisations, FNT’s innovative ICT software FNT Command provides transparency in an integrated way for the management of IT, network infrastructures, data centres, connectivity and telecommunication. The deep integration of all data items and the comprehensive data model are unique in the software market. It builds the central resource repository for all planning, fulfilment and assurance processes for data centres and all related business areas like cabling, inter- & intraconnectivity, virtualization, server management, monitoring, IT equipment etc. Using an appropriate data model across all layers – from the smallest fuse/breaker, active and passive components, upwards through the server, VM, application, and business service – ensures that data centre stakeholders have access to planning and analysis/optimization options. The addition of workflows helps to improve efficiency by simplifying recurring tasks and preventing errors, while also meeting compliance and security requirements. The result is a significant reduction in workload, which frees up staff to focus on non-automatable tasks and planning. 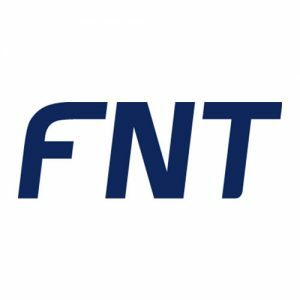 The central ICT management platform, FNT Command, supports planning and operation, automation of processes, fault prevention, and better utilization of resources. In doing so, the software enables data centre managers to merge the three key areas of planning, management, and monitoring – and thereby achieve a comprehensive overview across multiple departments. Especially in heterogeneous data centre environments the holistic overview has proven to be very valuable in terms of increasing overall productivity and efficiency. FNT Command is widely used by many customers to manage their hybrid infrastructure in combination with external services provided by external managed service providers. FNT’s ICT solution based on FNT Command is the central management and optimization software for data centres. From the building infrastructure (power, cooling, floorspace, etc.) and IT infrastructure (such as networks, servers, and storage) down to the services (software, applications, and services), FNT enables a comprehensive and integrated view of valuable data centre resources.